Those of you who know me well enough, know that I am huge on planners. I love keeping track of EVERYTHING. I have probably been using a planner religiously since middle school. There's no better feeling than crossing things off an organized list and keeping track of everything you have going on in one place. Yea.. you're probably thinking well there's a ton of ways you could do that electronically, which is true, but I'm a little more old fashioned when it comes to planners. I love actually crossing things off and writing things down, using bright colored pens and all that girly stuff. 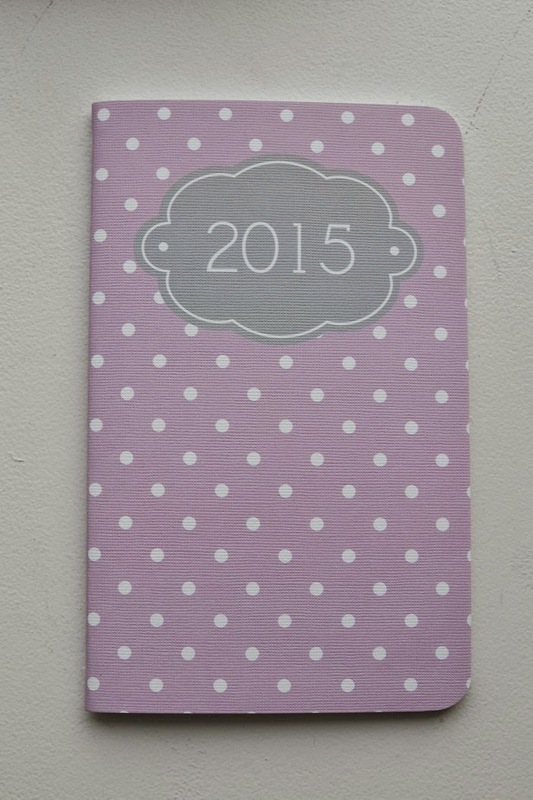 I recently was on the hunt for a new 2015 planner and when I came across May Designs, I fell in love. The customization of their planners/books is what won me over. You can pick from so many colors, designs, fonts, monograms, etc. etc. 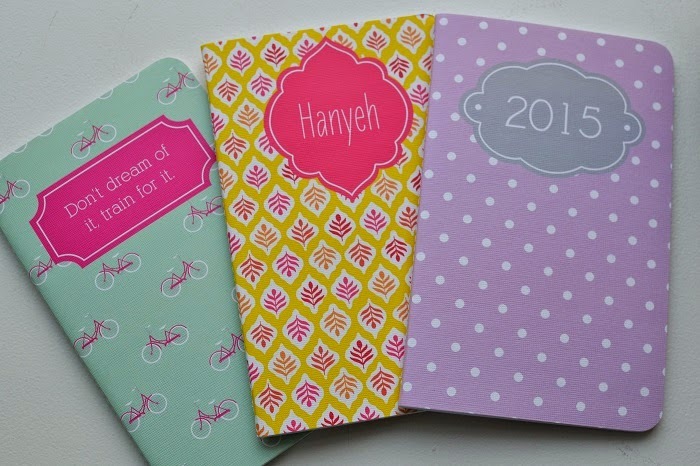 and personalize your planner/book however you want. 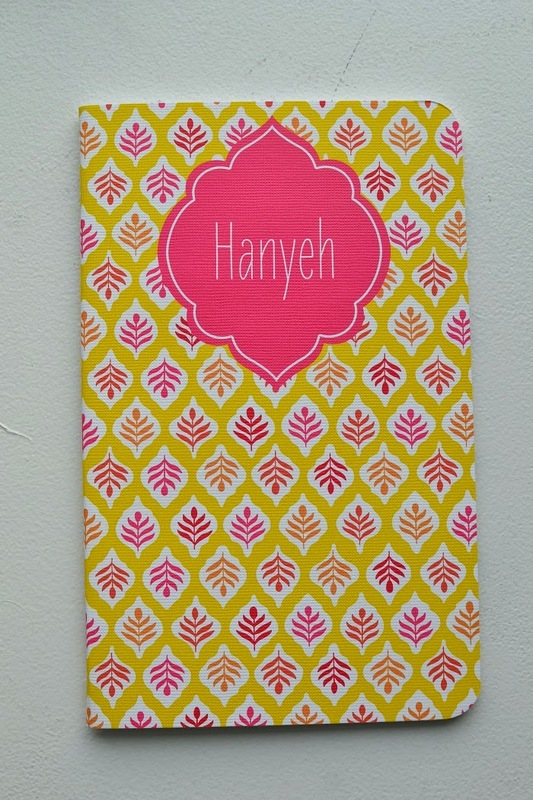 (The cute monograms made me wish I had a middle name!) When it came to picking my design, I had probably 10 different designs in my cart and I was trying to narrow it down to 3! I finally ended up deciding on the 3 pictured above, which I love. I was also thrilled to see they have so many different types of books you can get!! A few they have include calendar planners, wedding planning, baby tracking, exercise & calorie tracking, phone books and so much more! 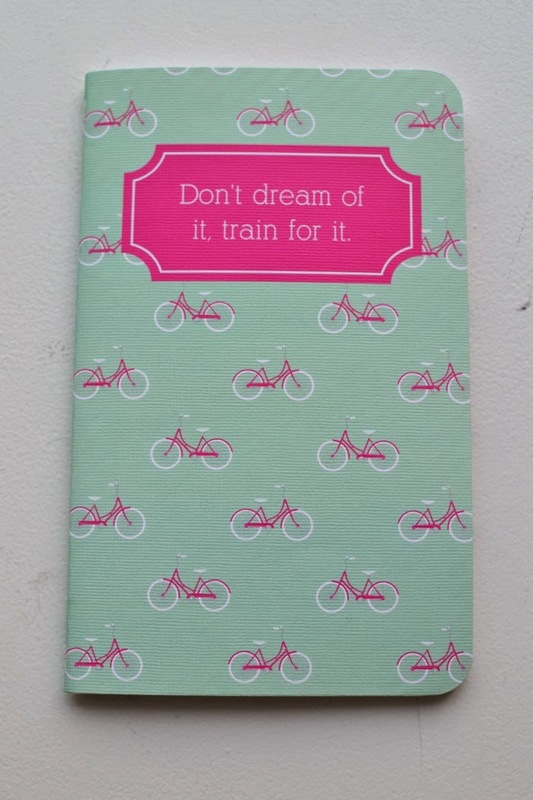 I designed a calorie and exercise tracker book with bikes on it and a quote to keep me motivated. 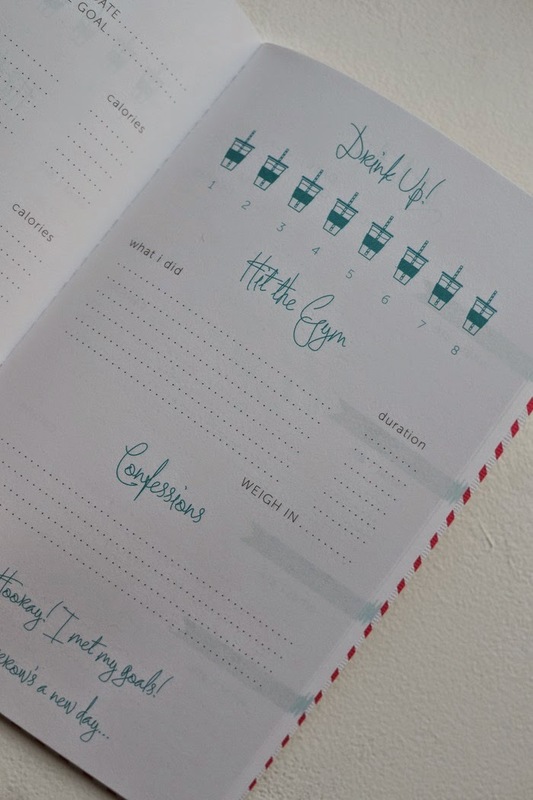 I used to do my workout/calorie tracking on my regular planner, but when I saw this I was sold. You can keep track of the workouts you do and everything you eat down to cups of water you drink so neatly! If this doesn't excite you and motivate you to maintain a healthy lifestyle I don't know what will... (just kidding, I just love it that much!). Another great thing about the planners/books is that they are very thin and medium sized, so you can literally throw them in any bag and be on your way! I carry both my planner and calorie/exercise tracker together and it's probably still smaller than some planners I've seen in the store. Now that I've had time to play with my May Design books, and have fallen completely head over heels for them, I want to give my readers a chance to win one of their own. 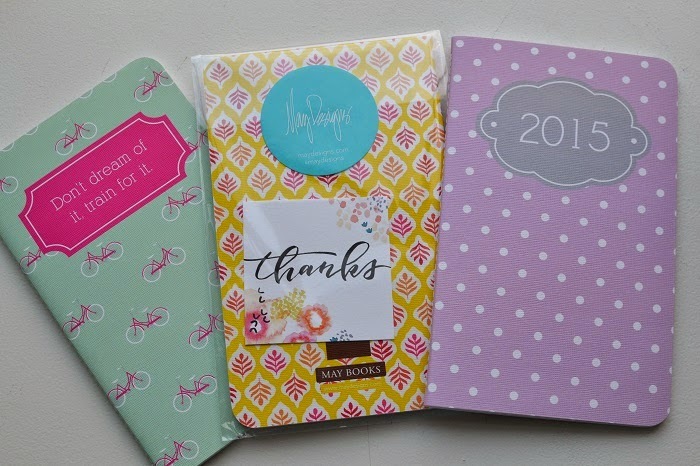 I have paired with May Designs to giveaway one book to a lucky winner. See the requirements of the giveaway below. That's all it takes! Good luck picking just one design! The winner will be randomly selected but must follow the 3 steps above to be entered into the drawing! Submissions are accepted until 11:59 PM (EST) on Saturday 3/21/2015. Winner will be announced on Sunday 3/22/2015 at 12:00 PM. I can't wait to see all your designs!